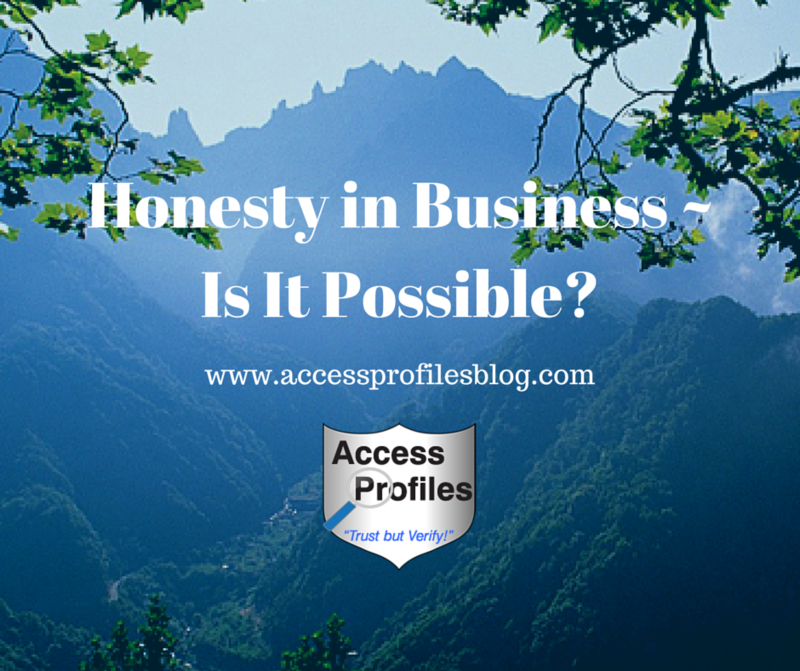 Access Profiles, Inc.: Honesty in Business: Is it Possible? Years ago we were undergoing a major home renovation. We interviewed several contractors and reviewed their plans for our addition. My husband and I decided on the one we thought had the best plan and at the best price. The estimated time frame for the project was 2 months. The contractor was local and promised to begin work the following week. It ended up to be one of the worst experiences ever. The contractor was rarely on site. He sub-contracted most of the work and, while some of the workers that showed up did a fine job, communication was non-existent. Bottom line, the contractor told us what we wanted to hear with very little thought of what was really in our best interests, the interests of his customer. I learned a lot from that experience. Mainly I decided what I did not want to do in my own business! your company and your customers makes sense. They gain and you gain. They get your very best product or service, and you get that most coveted of things, a loyal customer. A Loyal Customer is the best Building Block to Your Small Business! "Tweet This"
But what does it really take to provide “honest dealing”? Is honesty in business even possible? I believe it is more than possible. I believe it to be my most important goal. Put in the work to do your job well. The more time you spend on providing that stellar service, the less time you will have to spend on the “sell”. Be willing to constantly update and “tweak” your product. Find that niche in the market where you are unique and work it! Do what you say you are going to do. Empty promises have no place in a good business. Do everything possible to provide your customers with exactly the service you promised when you promised it. Believe me, the effort it takes will not go unnoticed. In this instance, actions really do speak louder than words. Are in it for the Long Haul. It is unrealistic to expect instant results. A reputation takes time to build. Be there when your customers have questions. Work with them on their specific needs. I have one particular customer who occasionally needs “rush” work. 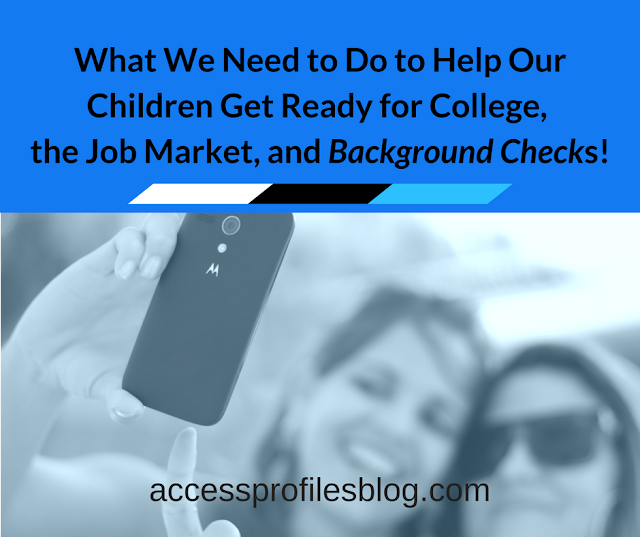 I make it my priority to get them exactly what they need, with quality, each and every time. This has paid off with a very loyal client. Come clean with mistakes. Not everything is going to go perfectly each and every time. It is how you handle those mistakes that will define you. Be straight forward with what went wrong and what steps you are taking to make sure it does not happen again. Your customers will appreciate your “above board” approach. The bottom line is, I believe in the Golden Rule we all learned as children; “do unto others as you would have them do unto you”. Truly looking out for your customer’s best interests is key. I believe – and so should You! Please Share and Comment on this post. We would love to hear from you! Thanks! 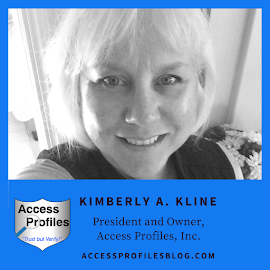 I invite you to visit our site for more of my thoughts and tips on Small Business and you can find out more about what API can do here! Let's Connect! You will find our links Facebook, LinkedIn, Twitter and more on our Contact Page! Great article. I've had more than my fair share of unethical contractors on my house, and other professionals, as well. I don't understand the lack of ethics some businesses operate under. I would never cheat a client. My rule has always been to give more than we agree upon. I believe that what goes around comes around, and those people do pay the price down the road. You take from others and eventually the Universe takes something away from you as the price. Thanks for your comments Marla! I especially like your rule to always give MORE than you promised. 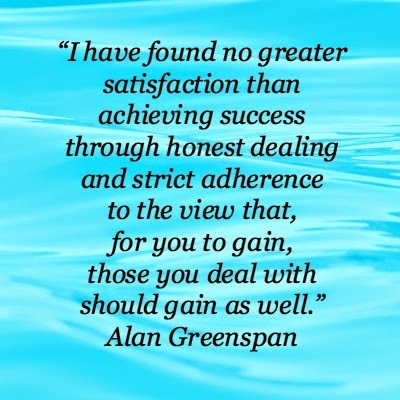 Keeping this in mind, it is easy to treat your clients and customers with respect and honesty. I also believe in Karma! Once again, your thoughts are appreciated!